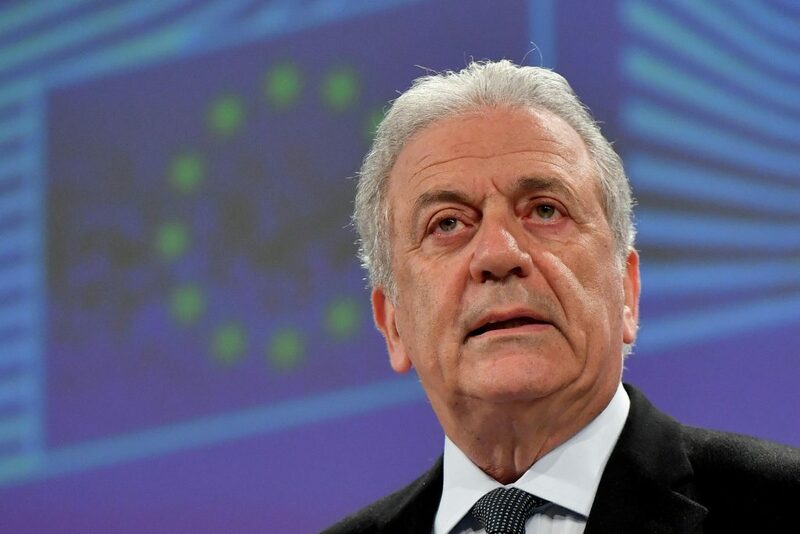 Bucharest – The European election campaign must not “paralyse” EU efforts to reform asylum rules, which have split the bloc since a migration surge in 2015, migration commissioner Dimitris Avramopoulos has said. 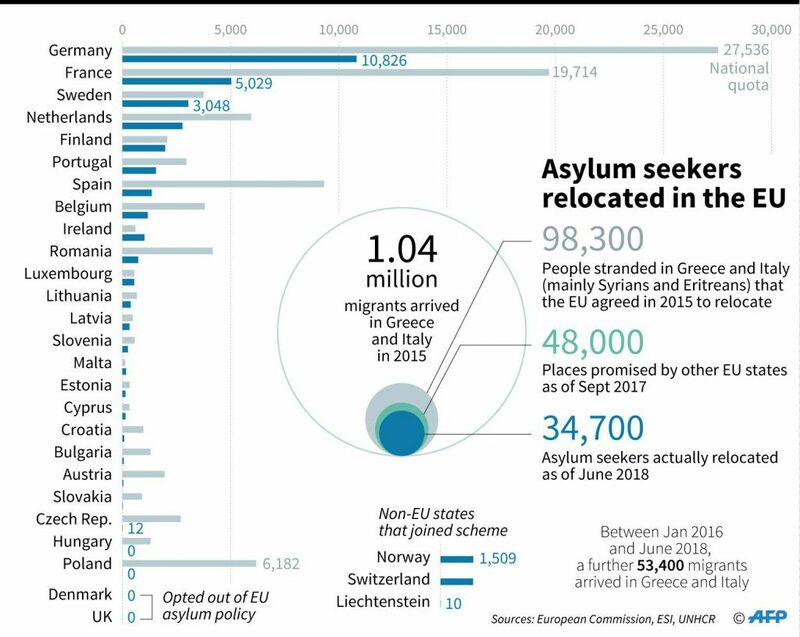 Avramopoulos touched on fears that the run-up to May’s elections to the European Parliament will only harden a years-long impasse over asylum reform despite a sharp drop in migrant arrivals. 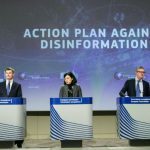 “The upcoming elections should not paralyse us,” Avramopoulos told reporters on February 7, during a meeting of European Union interior ministers in Bucharest, the Romanian capital. Unity has proved elusive since efforts began in 2016 to reform the “Dublin rules”, which stipulate that asylum requests be handled by the country where migrants and refugees first land. 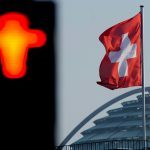 Brussels pushed the reform after migration peaked in 2015 — when more than one million entered the bloc — in order to ease the burden on frontline states like Italy and Greece. Even though migrant arrivals have dropped sharply, countries like Hungary and others in eastern Europe reject plans to redistribute migrants around the bloc in the event of new surges. With the deadlock, the populist, anti-immigration government that took power in Rome last year has often turned away ships that have rescued migrants in the Mediterranean. With the island of Malta also turning away rescue ships, EU nations have been forced to undertake negotiations each time over where to relocate the migrants in the bloc. “We can no longer continue to count on ad hoc solutions when dozens of migrants are stranded on a boat in the high seas off our coasts,” Avramopoulos said in a separate statement to AFP. He urged EU nations to stop “this game which can put human lives in danger”. Pending a breakthrough in asylum reform, the Commission, the EU’s executive arm, is urging member states to adopt “temporary arrangements” setting out the responsibilities for each on disembarcation. 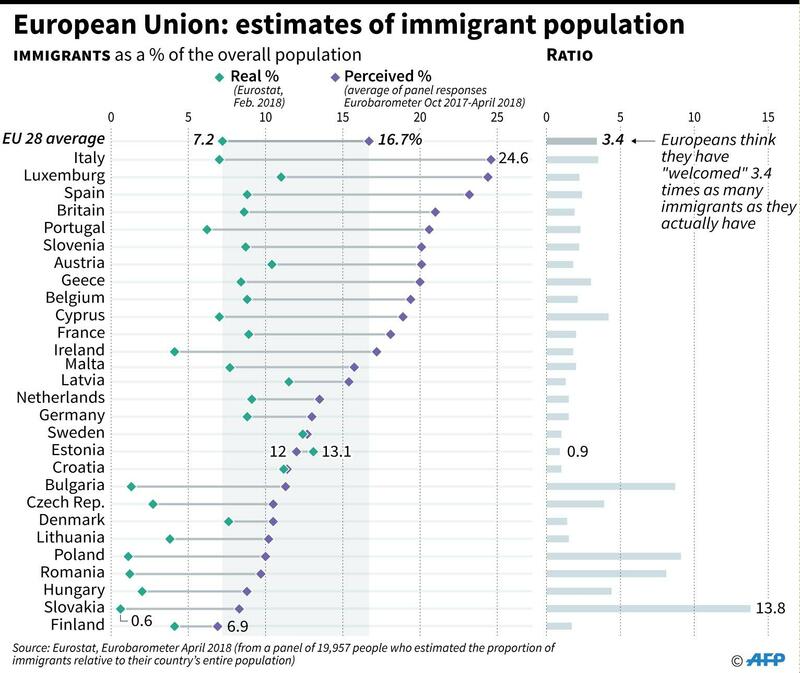 Do European Union residents overestimate immigration? Germany and France want to “considerably widen the circle” of countries ready to share responsibility for admitting migrants, German official Stephan Mayer said. Austria’s Interior Minister Herbert Kickl, a member of the far-right FPO, said he wanted to “put back on the table” his demand for a new EU rule to facilitate the expulsion of asylum seekers and refugees who commit offences.